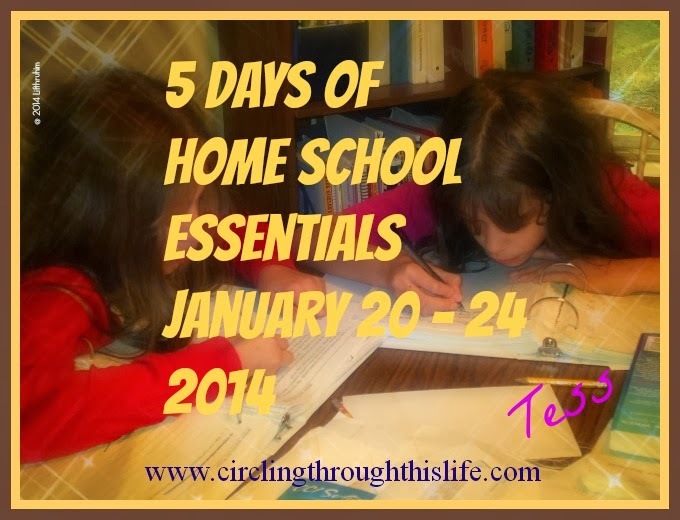 The Schoolhouse Review Crew reviews more than home school products. Sometimes we get to try wonderful products for mama. This time we got to review products from Koru Naturals. Everyone received Emu Oil along with another product or in my case product set. In addition to the Emu Oil my family received Manuka Oil and Honey Shampoo and Conditioner. I was stalking my mail waiting for my package to arrive ~ ok I sent the girls to check ~ and I used the shampoo and conditioner the same day they arrived. I was that excited! When I first opened the bottle I smelled a strong scent of almost peppermint. I had everyone smell both the shampoo and the conditioner and we all agree that it smelled like mint. Supergirl named it the mint poo. I was initially very confused because I did not see peppermint oil listed with the other oils: lavender, chamomile, white willow bark, and rosehip. I thought it odd that it did not list peppermint. Well it does on the website and if you read the itty bitty fine print ingredients, peppermint oil is indeed listed. The first time I used it, I noticed that my scalp was all tingling. I felt very wide awake. On subsequent use I realized that the shampoo tingles a bit but that it is really the conditioner that really wakes me up and causes tingling sensation. This shampoo does contain Sodium Lauryl Sulfoacetate and Disodium Laureth Sulfosuccinate. These work similarly to Sodium Lauryl Sulfate but are not considered as hazardous as SLS. Sodium Lauryl Sulfoacetate and Disodium Laureth Sulosuccinate are surfactants that provide the cleaning agent of the shampoo. Despite the fact that there are foaming agents in the shampoo this shampoo does not lather as much as other shampoos that do contain the not nice SLS. If it does not lather at all, then you might not have used enough but be careful as if you try to get a good lather you’ll end up using too much shampoo. Because we have long thick hair here we tend to use twice as much conditioner as shampoo. I tend to use one bottle of shampoo per two bottles of conditioner or I just condition my hair every other time I shampoo. This product can purchased as a set or in individual bottles. I plan to buy two bottles of conditioner for every one bottle of shampoo. Using the shampoo, skipping the conditioner and then using Emu Oil as a leave in conditioner works really well for both Tailorbear and I. We are very pleased with how soft and manageable our hair has become. Everyone assigned to the this review received a 2 oz. bottle of Emu Oil. Yes, this is the oil from an emu. Sounds weird doesn’t it? Yes, it’s bird fat. Emu oil is made from the fat of an emu, a large bird native to Australia. 2 oz. does not sound like very much but you only need a few drops. We’ve barely put a dent in our bottle and we’ve been using it regularly for deep conditioning of our hair. Tailorbear has very thick hair. She has enough hair on her head for three people! It is really that thick. Thick enough that it can be quite difficult to take care of. She loves the emu oil because it helps her to manage her hair. Because her hair is not as dry it has become much more curly. No, I’m not saying that Emu Oil will make straight hair curly, but what I am saying is that her hair was so damaged that the Emu Oil is restoring health to her hair and that in turn is bringing out the natural curl. I love how soft my hair feels after using the Emu Oil as a leave in conditioner. I wash my hair with the shampoo and skip the conditioner. Then, immediately after my shower, while my hair is still wet, I put several drops of the Emu Oil on my finger tips, rub between both hands and then apply to my ends working up towards the scalp. I have to be careful to not use too much. I used too much the first time and my hair looked and felt greasy after it dried but when I use the right amount it makes my hair soft and silky. I also used Emu Oil for some dry skin patches that I have. Yes, it feels oily as I apply it but it soaks into the skin and does not feel greasy when I finish applying it. Just a few drops covers a large area. I think my skin feels softer but I noticed something else. The inflammation that I sometimes get in my skin [it’s a fibromyalgia thing] seems much better. I did a bit of research on emu oil in general and there are some studies that suggest that emu oil may help with inflammation and diabetic nerve pain. For more information and directions on how to use the Pure Emu Oil as a hair conditioner visit the emu oil product page. This oil is for external use only on unbroken skin or hair. It is 100% emu oil with no preservatives or additives. Koru Naturals offers many natural products for hygiene and skin care from Australian and New Zealand sources. Visit Koru Naturals and read about their history. You can also read about the brands and the manufacturers. Do be sure to look for the other crew reviews to read about the other products offered by Koru Naturals. Interesting that Turtlegirl didn't like the shampoo. Addison has really greasy hair and she thinks this shampoo helped a lot.